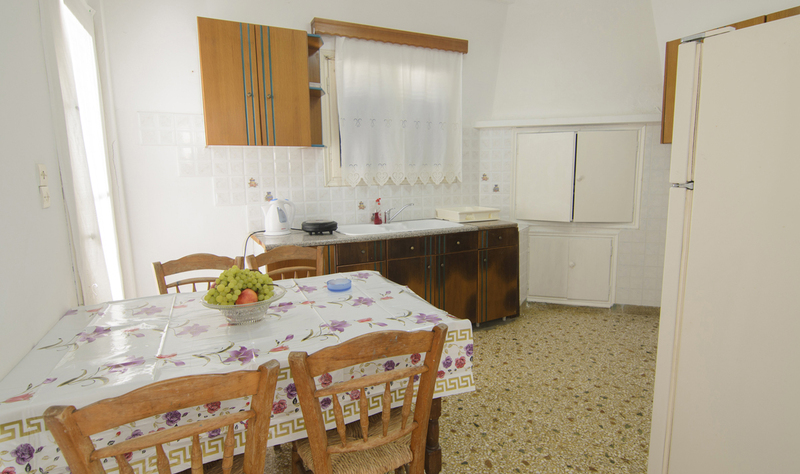 The small pension has a friendly and warm atmosphere. 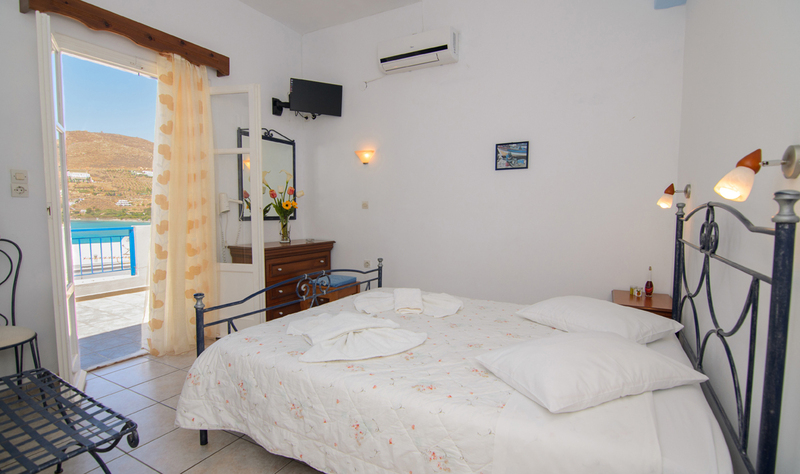 The rooms and studios are decorated in a personal style with all the comfort you need for a pleasant and relaxing vacation. 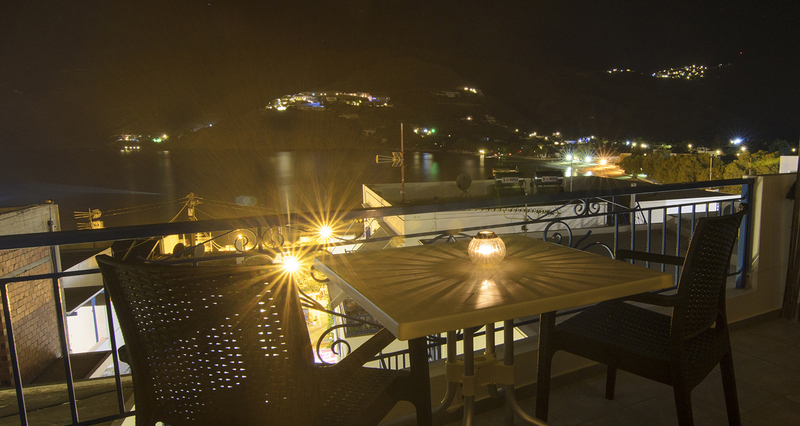 We are situated in the centre of the port of Aegiali in a quiet and calm area close to the beach. The region is a charming bay area with a variety of restaurants, shops and bars. 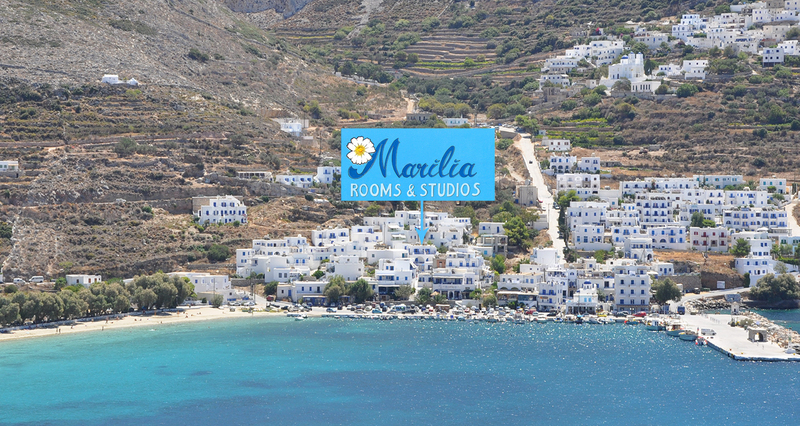 September until May you get 10% discount if you stay 5 days or more. 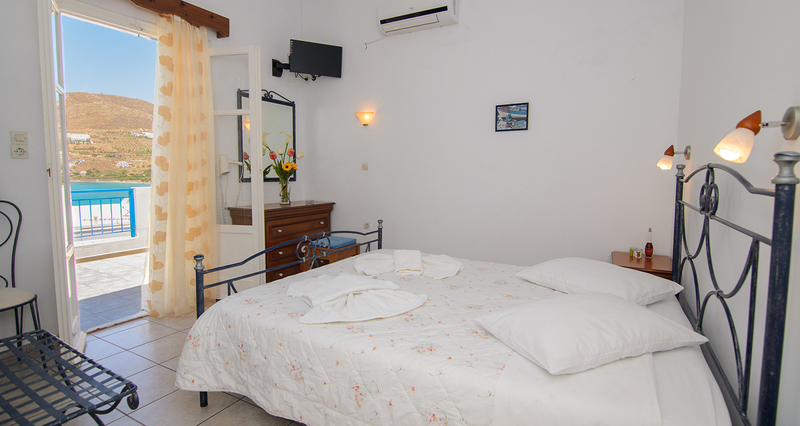 With a double bed (+ a single bed in triple room), fridge, water boiler, WIFI, TV, AC, safe, private bath and balcony. 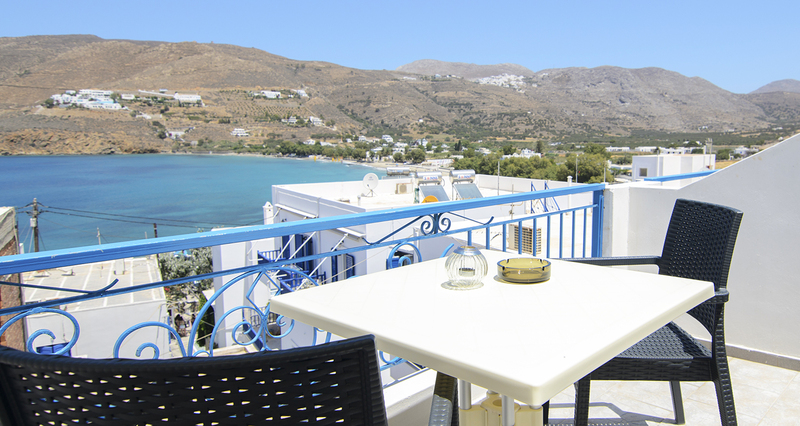 With double bed, full equiped kitchenette with fridge, WIFI, TV, AC, safe, private bath and balcony with sea view. 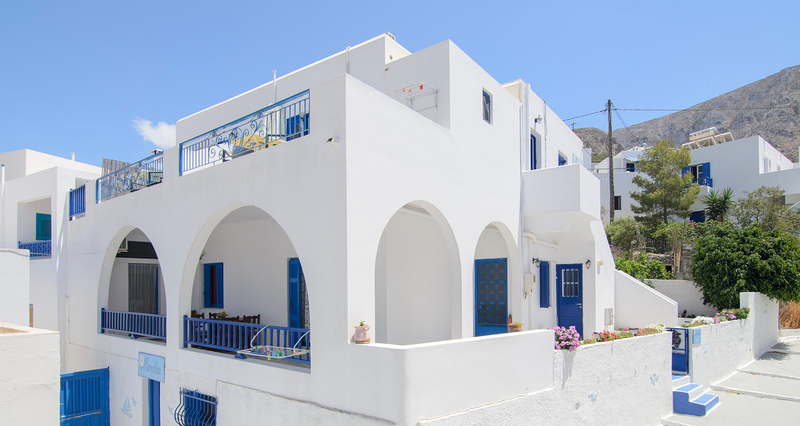 3 bedroom and a full equipped kitchen, WIFI, TV, AC, safe, fridge private bath and veranda with limited sea view. Ancient culture, outdoor recreation & hospitality in a relaxing atmosphere.